The most popular fall blooming camellias are Camellia sasanqua. These camellias begin blooming as early as August and generally peak in November and December in Southern California. The flowers typically have six to eight petals. The profuse flowers are usually white, pink, or white with pink or red edges. There also a few beautiful red sun camellias — some with complex forms and shapes. 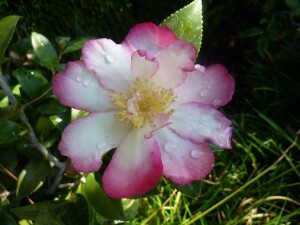 The petals fall after a few days with flowers opening in succession for four to six weeks. The petals on the ground form a lovely carpet and can be left as an attractive free-form artistic display. An additional attraction is that many of the flowers are fragrant with a sweet musky scent. The foliage is dense with small leaves which lend themselves to topiary, espalier and bonsai. Sasanquas are excellent in landscaping for hedges and foundation plants. Their beauty is in the profusion of their lovely masses of flowers and evergreen foliage. 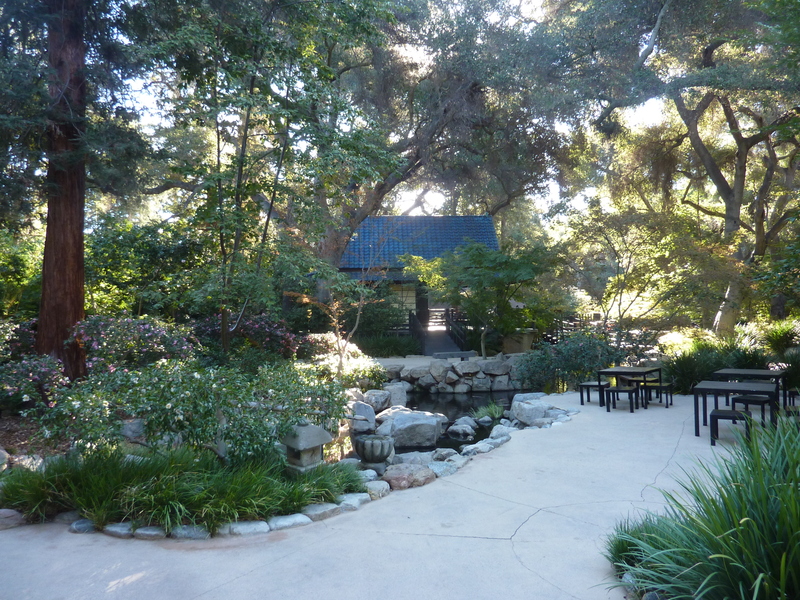 In the Pasadena area of Los Angeles, Descanso Gardens and The Huntington Botanical Gardens have wonderful collections of Sasanquas.